I had the dream again last night. OK, I didn’t. Well, yes, I had a dream but not a recurring one. (It’s just “a dream” isn’t quite as exciting an opening as “the dream” so I opted for a little theatrical license here . . . you still with me?) Then again: I’m not one of those guys who dream a lot or remember their dreams when they do happen. So why should you care? You don’t. But maybe, just maybe you’ll listen because it’s been one of those years. I thank God for my health (though I did break off a bit of tooth into a f****ng piece of bread on Sunday (Bread!!? )–At first I thought it wasn’t mine then I sent my tongue around and yep, there it was(–or wasn’t) so: no lawsuit there.) Oh, and I’ve been out of work for over a year now. Yesterday I was told to my face that I was too over qualified to be considered for a $12 an hour job. Otherwise I’m told repeatedly that they (fill in your company name here) want someone with more experience. The fact is, at 55, I’m a card carrying member of the wouldn’t-it-be-nicer-if-you-just-went-away society of unemployed. We’re considering Bankruptcy. Seriously. It seems the Unemployment checks just go to pay the bank anyway and they’ll be gone soon–SO WHY THE HELL ARE YOU WRITING AND WHAT IS THIS DREAM? I’m glad you asked. I, like you, graduated from an Arts School (that and $4.75 can get you a Venti cup of coffee at most Starbucks around here). I put my career on hold to pay of student loans and then raise a family and then started back up again just to be hit (again) by more age discrimination (we want to encourage young new talent under 30) and then the Great American Ecomedy started and I’m tired of it (or I’m mad as hell and I’m not gonna take it anymore–if you recognize the line then you’re old enough and can relate). So, I woke up this morning from a dream (yes, THE DREAM, shuttup: I’m getting there) echoing in my head regarding a play I started and put aside over the last I-don’t-want-to-tell-you-how-many-years-ago and picked up again cuz’ it was time and I finished it up about a year ago. 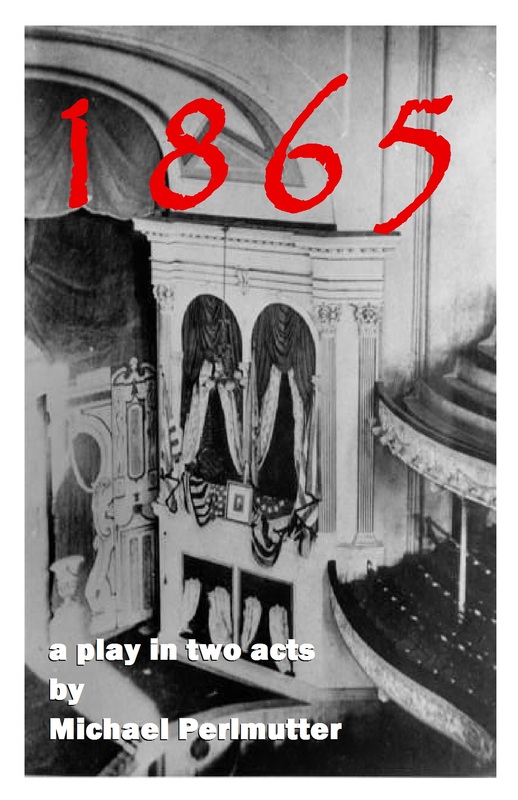 1865 is a two act play about mob mentality and being in the wrong place at the wrong time and in the dream (if dreams have any merit) I was being urged to send it out and get it on its feet no matter how. As I said, I generally, don’t take stock in dreams but what the hell–what’s the worst that can happen; Bankruptcy? So, I’ve downloaded the entire script onto my website http://www.directinghamlet.com for anyone to take a look at and see what happens. I’ve got other plays there as well but for now I’m keeping their postings at ten pages. I hope all your dreams are coming true and feel free to send on this desperate plea to anyone fool enough to listen. And back to the job hunt . . .